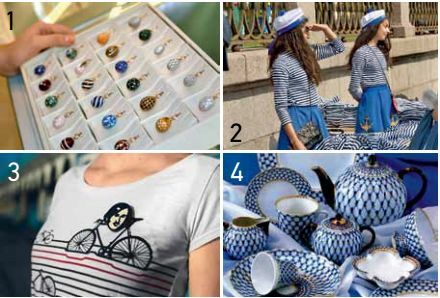 Petersburgers and expatriates offer advice on souvenirs you could give your family and friends from St. Petersburg this holiday season. Fabergé eggs are a symbol of Tsarist Russia and the luxurious lifestyle of the royal Romanov family. The first egg was presented by Emperor Alexander III to his wife, Maria Fyodorovna, on Easter in 1885. The Empress was so delighted with the gift that the House of Fabergé was granted the exclusive right to create Easter eggs for the court, which it held for the following 32 years. Alexander III and Nicholas II had such high confidence in the taste of the jewelers that they did not sign off on the designs in advance. Pendants replicating Easter masterpieces of the late 19th century are still popular in the third millennium. "They symbolize a return to the traditions of the Russian Empire, where such pendants were a common present," says Yekaterina Petukhova, PR Director of Fabergé Museum (21 Fontanka Embankment). The most affordable pendants are massproduced items made from brass and cold enamel with prices ranging from 700 to 1,200 rubles (about $10–19). Silver and gold items manufactured with original House of Fabergé technology cost from 9,900 to 50,000 rubles ($150–770). "Foreign tourists like to buy our souvenirs with inscriptions in Russian because Cyrillic characters look exotic and mysterious to them," says Mikhail Ivanov, co-owner of Podpisnye Izdaniya bookstore (57 Liteyny Prospect). "We started making postcards and magnets three years ago, inviting young artist Sasha Pavlova to join our creative project and invent something fresh and modern. That's how these postcards were created: "In any baffling situation, fly to St. Petersburg" and "Keep calm and go to St. Petersburg," which is a reference to the famous British motivational poster." 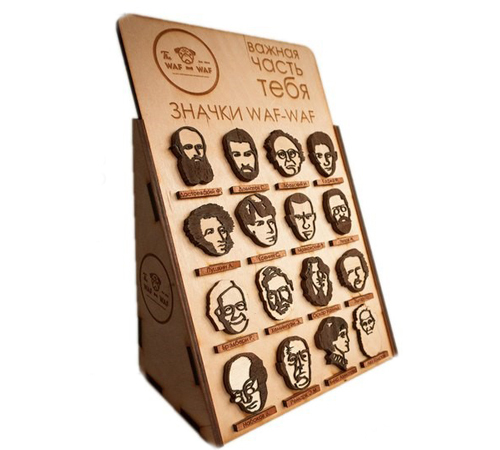 Wooden badges with portraits of Dostoyevky, Chekhov, Nabokov and other famous Russian writers are also popular souvenirs from a city so closely linked with great literature. 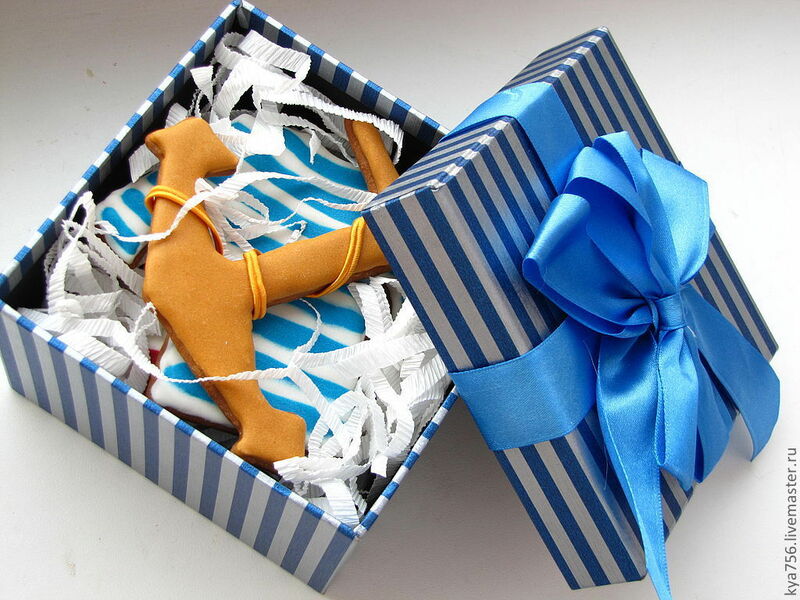 The badges are manufactured by the Waf-waf company in the center of St. Petersburg. 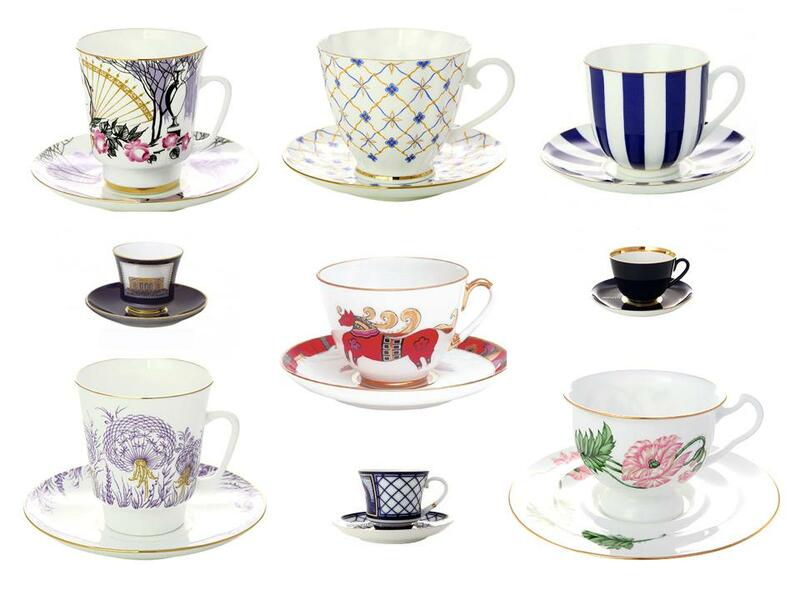 Apart from collections inspired by Russia and traveling, there are collections by young local artists. Russian wooden badges have spread all over the world, from Iceland to the U.S. Clothes by local designers are also worth attention – especially the SHU raincoat, which is the most practical gift on our list. It was invented by designer Andrei Kravtsov – after moving to St. Petersburg, he did his best to survive the city's whimsical climate, but every time, rain caught him by surprise.